Add to appropriate vape device. DO NOT INGEST. You must be 18 years old or the legal age for smoking in your state. This product is for adult use only. Although CBD has been around for many decades, CBD vape juice is a relatively new invention. Over the last several years, the popularity of CBD vape oil has blown up—and for good reason. It’s easy to use, effective, fun, and tasty. It may even be the quickest way to get CBD into the bloodstream, which is great for those who need instant relief. As research has uncovered, there are a variety of physical and mental health-supporting benefits to using CBD vape oil. We’ll talk more about these in a moment. If you don’t already know, CBD (cannabidiol) is one of many cannabinoids found in cannabis. It is most often derived from hemp as opposed to marijuana. Hemp has very low levels of THC and high levels of CBD. This means that CBD won’t get you high. THC, which is found in marijuana, is the psychoactive chemical which causes a high sensation, and hemp cannot contain any more than 0.3% THC content. So you don’t have to worry about CBD oil causing impairment or a foggy mind. Regular CBD oil has relatively low bioavailability. What this means is that your body is not able to use all of the CBD that you ingest (or use topically). This has to do with the fact that CBD oil is an oil, and your body is made up of mostly water. If you’ve ever done a home-made science experiment involving oil and water, or if you’ve ever had to shake up a bottle of vinaigrette salad dressing, you know that oil and water (or vinegar) don’t mix. That’s because oil is a hydrophobic substance (no, it’s not afraid of water, it’s just doesn’t naturally mix with water). What all of this means is that CBD oil naturally has a difficult time mixing with your blood, so a significant portion never makes it into your bloodstream. 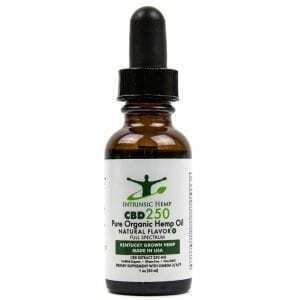 Moreover, as your body digests ingested CBD oil, your filtering organs remove a substantial amount of CBD as well. On the other hand, CBD vape juice is significantly more bioavailable. This is because when CBD is vaporized, the CBD particles become less hydrophobic and more hydrophilic—meaning it has an easier time mixing with water. Even more, since CBD vape juice is inhaled, your organs don’t have the opportunity to filter out the CBD as they do when you use an ingestible CBD oil. This makes CBD vape juice the better option when it comes to experiencing the full effects of a dose of CBD oil. And since CBD vape oil is far more bioavailable, you may not have to use as much to experience the benefits. 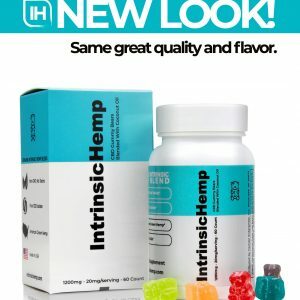 Keep in mind that while ingestible CBD is absorbed into the bloodstream slowly over several hours of moving through the digestive tract, CBD vapors are absorbed into the bloodstream almost instantly. This means that the effects of CBD vapors not only take effect quickly, they can also dissipate quickly. 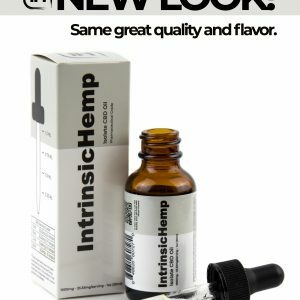 So you may have to use CBD vape juice more often for long-term relief. There are so many benefits to using CBD vape juice. As more and more research surfaces on this incredible health-supporting supplement, more and more benefits are discovered. Here are several of the ways that CBD oil can help boost your health. Although the participants used a sublingual CBD oil, a vaporizer may even help speed up the mind-boosting benefits of CBD. This could be a great solution for those that need instant relief from social or stress-related anxiety. CBD oil is a natural anti-inflammatory. Since many health problems stem from too much inflammation in the body, this makes CBD a highly versatile health-booster. The anti-inflammatory effects of CBD oil will help support the health of your entire body from your heart to your brain to your joints. Pain is often caused by inflammation. The anti-inflammatory effects of CBD oil also make CBD vape juice a great alternative to pain killers. For headaches, muscle cramps, and even joint pain, CBD vape juice may bring the relief you need. The effects of CBD on epilepsy may be the most studied of all CBD oil benefits. There are two forms of epilepsy which researchers believe CBD can reduce the symptoms of: Lennox-Gastaut syndrome and Dravet syndrome. CBD oil seems to reduce epilepsy symptoms even at very low doses. CBD oil is the perfect support for a good night’s sleep. Although CBD oil doesn’t actually directly make you sleepy, it helps to relax the body and mind which promotes sleepiness when it’s time for bed. It can also help regulate the sleep-wake cycle which may solve long-term insomnia. CBD vape oil can help relax the body and mind even more quickly than ingestible CBD oil. Anxiety and stress-related insomnia are no match for CBD vape juice. Why should you choose Intrinsic Hemp over a nearby vape shop? 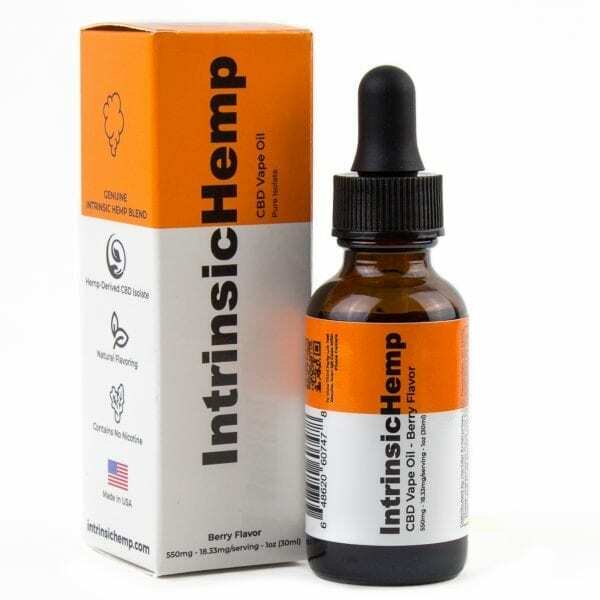 At Intrinsic Hemp, we source the finest hemp from America's best farmers. Our CBD products are 100% organic and contain no pesticides, herbicides, or any other harmful additives. 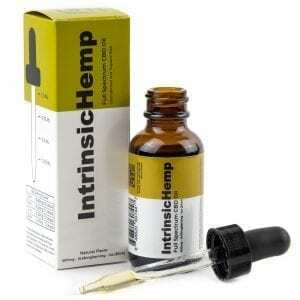 We are committed to offering our customers only the world’s best CBD oil products. We took our time releasing our CBD vape juice to be sure we weren’t jumping the gun and offering anything but the best CBD vape oil. And now that we’ve perfected our recipe, we think you’ll be pleased with what it does for your health. Take a look around our store and read our customers’ reviews. Instead of searching google for a “vape shop near me,” give our CBD vaporizer oil a try. 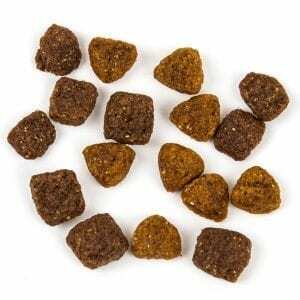 We offer free shipping on every order and we always ship your products out by the very next business day. Due to FDA Regulations, we recommend that you do your own research on CBD products. We also suggest that you read the reviews on our website; where our customers record their real-world results of using our products.